The vast majority of Rwandan coffee is produced by smallholders of which there are thought to be around half a million with parcels of land often not much larger than just one hectare per family. 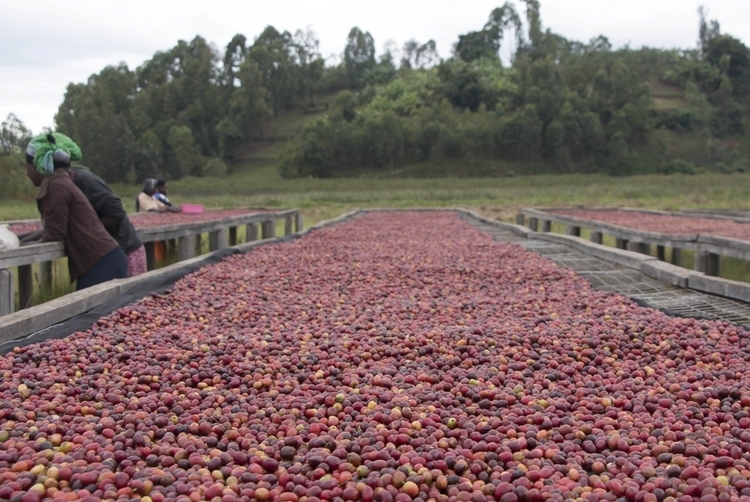 Coffee is grown in most parts of the country, with particularly large concentrations along Lake Kivu and in the southern province. Rwandan smallholders organise themselves into cooperatives and share the services of centralised wet-mills or washing stations as they are known locally. Gatare is one the oldest washing stations in the country, dating back in 2003. Gatare has a long reputation having been among the first stations to process very high quality coffee for export. Located in Nyamasheke district of the Western province, the station is surrounded by hills covered by coffee trees. Gatare has competed in the Cup Of Excellence competition many times, and always ended in the high winning lots. The station has a very large capacity, operating a 3 ton/hr McKinnon disc pulper, washing channels, dry fermentation tanks, and soaking tanks, and processed over 1000 tons of cherries this season.